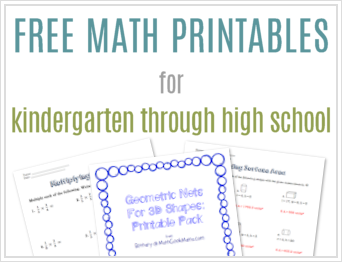 Having taught many different levels of Algebra over the years, I always have so many ideas that I want to share with you, but not always enough time to get it created and posted! 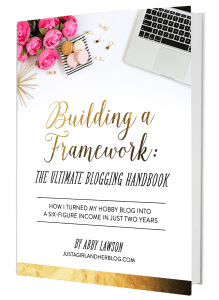 So slowly but surely I’m starting to get things together and today I’m excited to share what I hope is a fun and helpful resource for Valentine’s Day! 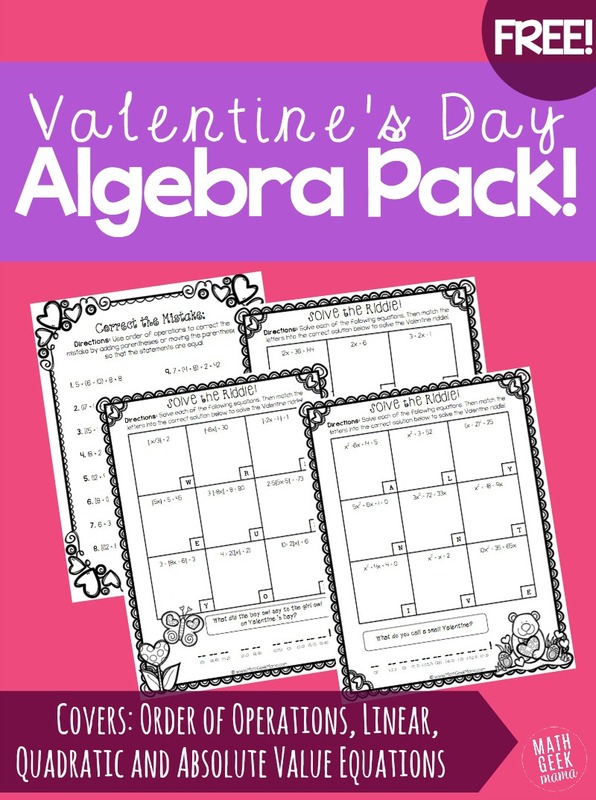 This Valentine’s Day Algebra practice pack covers many different skills for students to practice and review. 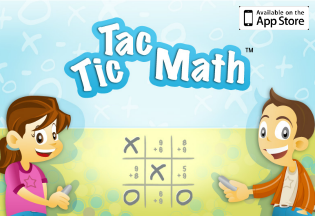 As I began to create this, it started as simply a review of the order of operations. 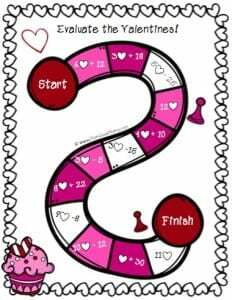 But then I thought it would be fun to include some silly Valentine riddles for students to figure out, and so the resource grew to include solving linear equations. So I made some more silly riddle pages to practice solving quadratic equations and absolute value equations. The first page includes equations that are not equal. Students must use order of operations to correct them by adding or moving parentheses in the equation so that they are true. The solve the riddle pages are straightforward. 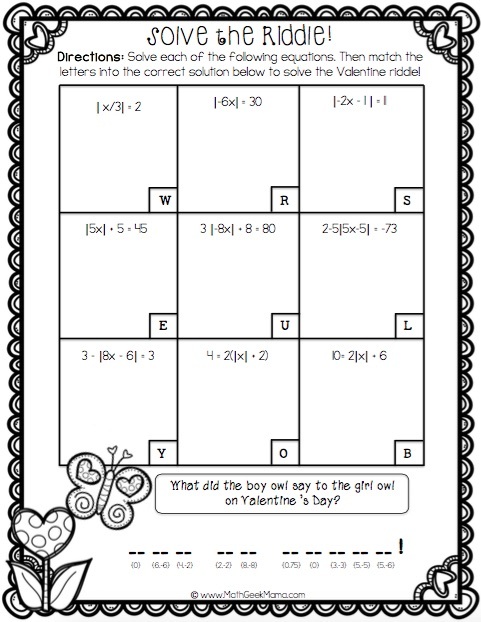 Students solve each equation, then write the corresponding letter in the blanks to find the answer to the Valentine’s Day riddle at the bottom. *Psst! If you need more Algebra lessons and fun practice pages like these, you need my Algebra Essentials resource bundle! 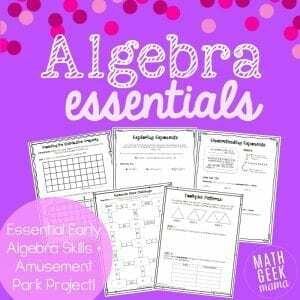 It includes the “Correct the mistake” practice (updated so it’s not a Valentine’s theme) as well as lessons and more for all the essential Algebra concepts! Simply click the graphic below to learn more! Plus, download a simple print and play board game to practice evaluating expressions when you subscribe to my free email newsletter!